“Awakened” out now in Europe! 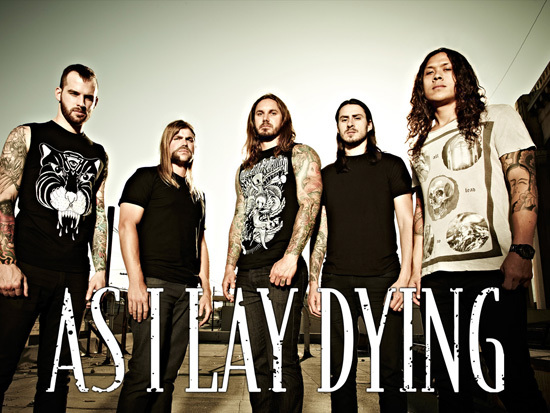 The Grammy-nominated metal group AS I LAY DYING, who recently debuted their new single and video for “A Greater Foundation” to an overwhelming response by fans, have launched an exclusive full-album stream for Awakened on AOL Music. Fans can listen to the album now at www.music.aol.com/new-releases-full-cds/. Awakened is now available everywhere in Europe! Awakened is out as a jewelcase-CD, as a limited Digipak including a bonus-DVD and bonustracks as well as on vinyl! After wrapping a successful run as a main stage act on the Rockstar Mayhem Festival with Slipknot, Slayer and more, the band will launch a European tour with Trivium, Caliban and Upon A Burning Body before returning to the U.S. in November for a nationwide tour.